Teacher and photographer John Greengo has spent decades helping people find and buy the right camera for their needs – which means he’s also seen a lot of people who wound up with the wrong camera and needed help. Although a camera is just a tool (and the best camera is the one you have with you), the machinery itself does matter to some degree. When buying your first camera (or any camera), it’s important to keep your eye on the prize and not be distracted. While asking around before making a large purchase can be a good way to hear the experiences of others, remember that your cousin, your friend at work, or your other casual acquaintances who are not professional photographers may not always have the best advice. Do your research, but also be sure to ask actual experts for their advice, too. “Photography in general is a fairly expensive hobby for a lot of people,” John admits. In the years he’s spent selling cameras to people, he’s seen sticker-shock over and over. “The fact of the matter is, very high-end photographers do use very high-end gear. 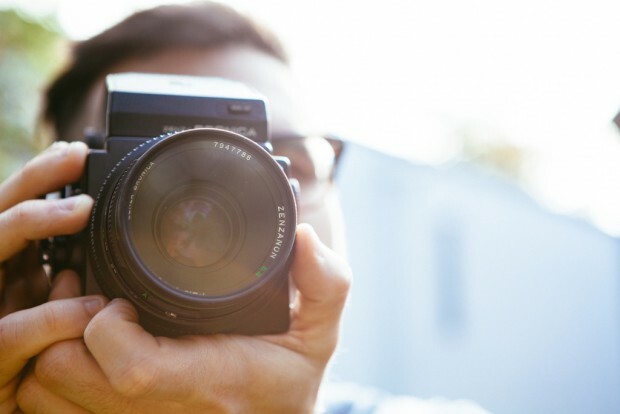 It’s appropriate for their skill level.” Consider what you hope to get out of your camera and what uses you’ll be putting it to, and try to set your expectations (and savings goal) appropriately. High-quality gear will have a higher price tag.